Anand is a small, but fast developing town in Gujarat. It is the major producer of dairy products in India and thus is known as the “Milk Capital of India”. It is also abundantly blessed by nature and a beautiful place housing numerous places to relax and rejuvenate. Visit the beautiful town for a fun and relaxing vacation and pick from the best hotels in Anand. Anand is a small town in the western state of Gujarat. It is most notable for housing Asia’s largest dairy cooperative, the Amul Dairy. It is also home to the National Dairy Development Board of India and Anand Agriculture University. Abundantly blessed by the nature, the soil of the region is very fertile. It is for this fact that the place is also fondly called as the “pot full of gold coins”. Agriculture remains the prime industry here with the mass production of dairy products acting as the prime background industry. Apart from that, the place is sometime called as “Golden Leaf” because of the large production of Tobacco leaf. Anand is a district that counts amongst the young districts of the state as it was formed in 1997 after it was carved out of the Kheda district. The place lies between Vadodara and Ahmedabad on the Western Railway line of Indian Railways. Gandhinagar, the capital city of the state, is about 101 k.m. away. It houses the largest and most significant railway station which is just often preferred by tourists visiting Anand. However, roads are also commonly used modes to access the town if one is coming from neighboring cities. The National Highway that connects Ahmedabad to Vadodara passes through the town. The past few decades have experienced quick significant developments in Anand. Some of the big scale industries namely AMUL Dairy, Vulcan Industrial, Charotar Iron Company, ELECON, Milcent and Atlanta Electrics have chosen Anand to establish their plants. The industrialization has lead to significant commercialization of the town. Today, the place is filled with schools, plush buildings, and well developed commercial centres. There also exist a couple of good hotels in Anand effectively catering to the lodging needs of the tourists visiting it. Anand, being the “Milk Capital of India” and also a place blessed with scenic nature, makes a perfect getaway destination. It is sufficiently blessed with natural splendor. The place is ideal for spending sometime in tranquility away from the chaos of city life. Although, it is quickly getting filled with parameters of modernization, but there are areas that are still untouched and unspoiled. The charm of old days still abides in the villages surrounding the commerce centre. They are perfect for discovering and exploring the typical culture of Gujarat. There are some houses that are more than happy to offer homestay to the tourists. Papi Kondalu is a popular place here. It is a beautiful site the beauty of which is often compared with that of Kashmir. It is scenic, peaceful, and perfect for retreating and relaxing. Tourists also flock to the place called Munivaatam. It houses beautiful waterfalls and a revered shrine dedicated to Lord Shiva. 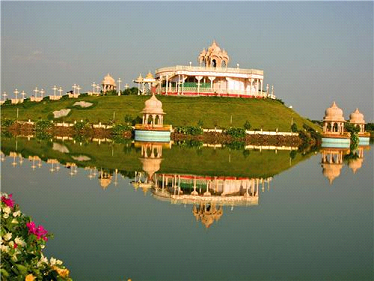 The most significant places of Anand that are popular amongst the tourists are Swaminarayan Mandir, Amul Dairy Cooperative Museum, Amul Chocolate Factory, Big Lion Multiplex, Shri Nil Kanth Mahadev Mandir, Iskcon Temple, Kailash Nath Mahadev Temple, Patel Sanatan Hira Lal Mandir, and Mata Teki. Anand is best explored when one goes solo. However, there are a couple of tour companies and budget hotels in Anand that also offer tour services to the guests.